Bangkok, Thailand -- Throughout history, rulers and rebels alike have used religion to justify their actions. Despite its peaceful image, Buddhism, the majority religion of Burma, Thailand, Laos, Vietnam and Cambodia, can also be turned to political purposes. 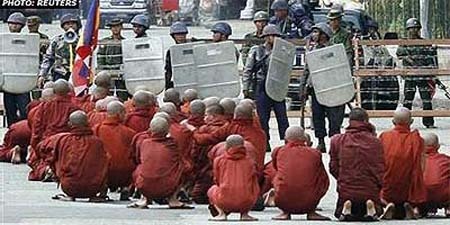 The repressive Thai and Burmese states use Buddhism to legitimise their rule. The Burmese generals claim that they are good Buddhists. But the population, including Buddhist monks, can rise up against them. The Laotian communists of the "Pathet Lao" movement can use Buddhism to justify socialism and the ultra-right-wing Thai priest Kittiwutto can say that "killing communists is not a sin". The Buddhist concepts of reincarnation and karma (or kam in Thai) are aimed at instilling fatalism in the population. You are born poor or disabled because of what you did in a past life. Kings and millionaires are superior to ordinary people; men are above women. If you are very naughty, you may come back as an animal "longer than it is tall". These attitudes encourage people to accept their fate and not seek to overthrow bad rulers, given that these rulers will surely have to pay, via kam, for what they have done. 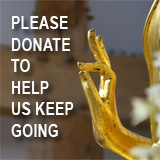 Buddhism is also concerned with ending suffering, or took. Took is more than just suffering. 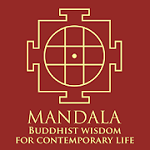 The Buddhist trinity of truth (trilak) states that change is always present. Nothing remains the same and change comes from the contradiction of took or suffering. For the ruling elites, this concept is used to teach the masses that they should look to their personal lives. They should not bother with material or bodily desires and jealousies, as they are never desires for anything permanent. Let the rich remain rich. The Buddhist ruling against killing is used to ban abortion and denounce violent acts against the state. Yet Buddhism, like all other religions, is never "pure". It must be understood not from texts alone, but from how people practise and interpret it. So, for the oppressed, the struggle to end suffering or took is justified. The rich should renounce their material wealth, or even be made to do so, in order that the poor can survive. Kam doesn't have to be about the next or past life. It can be here and now. If there is a revolt that overthrows a bad ruler, that is the ruler's kam.